Glee - Loser Like Me & Homecoming - Advance Previews - "It's the Final Season!" Glee begins its sixth and final season with back to back episodes on Friday, January 9 at 8/7c on Fox. 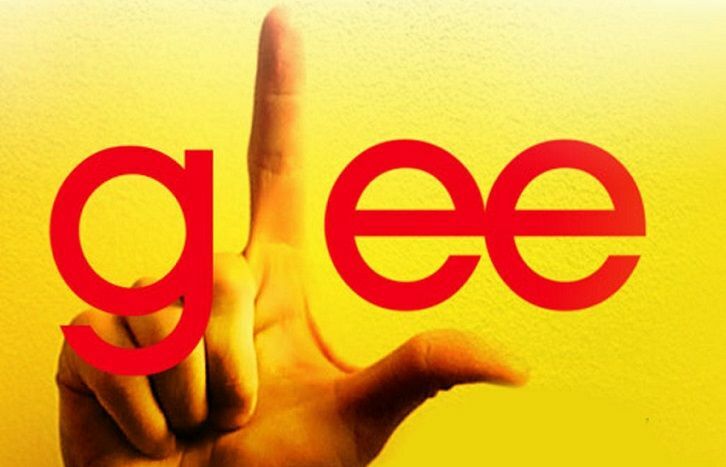 “Loser Like Me” was written by Ryan Murphy, Ian Brennan and Brad Falchuk and directed by Bradley Buecker. “Homecoming” was written by Murphy and directed by Buecker. Like most Murphy projects this feels almost like a new show and is in many ways a definite re-boot of the show – but in a good way. I wouldn’t say that the first episode is a feel good episode, but it’s definitely a return to the roots of the show. My favorite episodes of the show have always come from the three showrunners as, for me, these are the episodes that ring the truest. By now, most of the plots has already been leaked – or released in press releases. However, if you don’t want to be spoiled at all, you may not want to read further. “Loser Like Me” begins in Hollywood as Rachel (Lea Michele) gets the news that her show, That’s So Rachel, has been cancelled and she’s fired. Rachel then returns to Lima only to have the hits keep coming as she discovers that her Dads are divorcing and selling the family home. Blaine (Darren Criss) has also returned to Lima after breaking up with Kurt (Chris Colfer) and flunking out of NYADA. Blaine is now leading the Warblers. Sam (Chord Overstreet) is working as Assistant Coach to Coach Beiste (Dot-Marie Jones). Will (Matthew Morrison) is leading Vocal Adrenaline. None of the characters are in a truly happy place as the season starts – with the exception of Sue (Jane Lynch). Sue’s new three-Point Plan for McKinley is hysterical – and as disturbing as you’d expect! 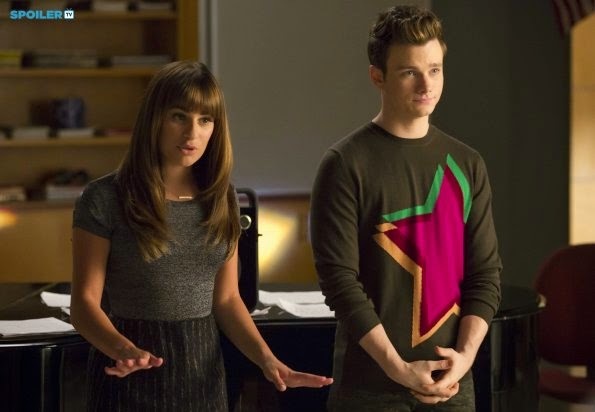 “Loser Like Me” focuses on Rachel, Blaine, and Kurt with a healthy dose of Sue and Will. No doubt some people will be disappointed not to see all of the originals back, but the episode is better for being able to really set the stage for the season and give us a really good sense of what’s going on with these characters. Michele shows some real growth with Rachel and Colfer also delivers an excellent performance. “Loser Like Me” features five songs – beginning and ending with solos from Michele. There are two dance routines – one with the Warblers which is particularly well shot and one with Vocal Adrenaline. I’ve been missing the really good dance routines we used to see in earlier seasons, so I’m hoping this is a sign that we’ll get more in this final season. One of my favorite scenes in the episode is with Will and his new adorable red-headed baby! There’s also a terrific scene between Will and Rachel. And we do get to see a clip from the doomed – and one and only episode of That’s So Rachel. “Homecoming” sees almost all of the characters we came to love in the first season answering Rachel’s call for help in recruiting a new Glee club at McKinley. Rachel and Kurt are going to run the club together – though, of course, they argue about virtually everything, including Kurt’s actual role. The episode begins and ends with Blaine and it’s going to be interesting to see how his relationship to the core group is going to develop. Like the best episodes of the series, there are actually a couple of serious issues underlying the music and lighter moments. Can the Warblers be forced to take a member who isn't a guy? 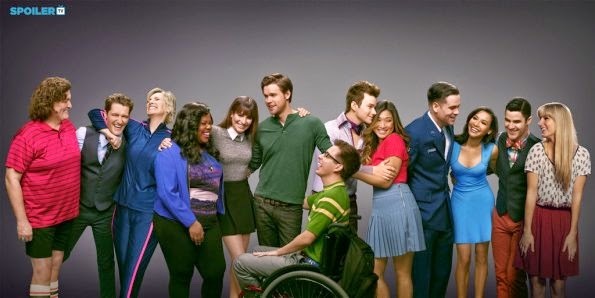 It’s great to see Puck (Mark Salling), Santana (Naya Rivera), Brittany (Heater Morris), Tina (Jenna Ushkowitz), Mercedes (Amber Riley), Arte (Kevin McHale), and Quinn (Dianna Agron) back at McKinley. However, because they are all back – except for Mike (Harry Shum Jr) – there really isn’t time for any of them to have much to do. Once again it’s stated that the Glee club is “a place where misfits can fit in.” And we start to see them emerge and begin to form the new New Directions. There are two new characters with really terrific voices – Jane played by Samantha Ware and Roderick played by Noah Guthrie. Jane does a great version of “Tightrope” and Roderick auditions for New Directions with “Mustang Sally.” Brother and sister Madison (Laura Dreyfuss) and Mason (Billy Lewis Jr) also join New Directions. There’s a cameo from one of the last members of New Directions – but I’ll leave that as a surprise. Sue’s journal makes an appearance in the episode as does Becky (Lauren Potter). One of the highlights of the episode for me is that the three original Cheerios have a terrific routine together. The other thing that I really liked about this episode is that it uses the gimmick from the A-ha video of “Take On Me” in the cast’s performance of the song and throughout the episode. If you’ve been a fan of Glee since the beginning, you won’t want to miss this last season. If you were a fan who drifted away, I think you’ll also want to come back for this final season. I’m looking forward to more episodes that focus on the core group of characters we fell in love with. When we met them, they were all “losers” who we could root for and identify with, and these two episodes really feel like a return to the inspiration these characters could generate. Glee, “Loser Like Me” airs on Friday, January 9, 2015 at 8/7c on Fox and is followed by a second new episode “Homecoming.” Are you excited about the final season? Let me know your thoughts in the comments below!